Harvesting corn on the Hammond family farm. Photo by Mary Anne Andrei. My friend Sara Bhatia is doing something hard (in addition to preparing the turkey): she’s listening. And trying to understand. A fierce and beautiful American, she wants to know what motivated other fierce and beautiful Americans in the 2016 election. “We are the swamp,” she said of herself and her husband, who live in Washington, D.C.
First, she read Hillbilly Elegy, by J.D. Vance. Next, Janesville: An American Story (reviewed at Bacon here). Today, she reports on what she learned from This Blessed Earth, by Ted Genoways. “Situated somewhere between James Agee’s Let Us Now Praise Famous Men and any Bruce Springsteen song about people just trying to get by… [This Blessed Earth] tells the story of the people that put food on our country’s table,” writes Jason Diamond in MEN’s Journal. Today, I am thankful for the people who put food on my table. For family and friends and our glorious, imperfect country. I am deeply thankful for people like Sara – who have strongly held beliefs, and who try to understand. Happy Thanksgiving, dear Bacon readers! Author Ted Genoways spent a year side by side with the Hammonds, a sixth generation Nebraska farm family, to capture the rhythms of 21st century farming, and to understand the many forces that have placed the family farm under siege. I picked up This Blessed Earth as the third in a trio of books I’ve read this year in a quest to understand the larger socio-economic trends that underscored the 2016 election. Alongside J.D. Vance’s Hillbilly Elegy (unemployed miners in Appalachia) and Amy Goldstein’s Janesville (unemployed GM workers in Wisconsin), I hoped This Blessed Earth would help me understand the enormous pressures facing family farmers in the 21st century and why for many, the populist messages of both Bernie Sanders and Donald Trump resonated so profoundly. 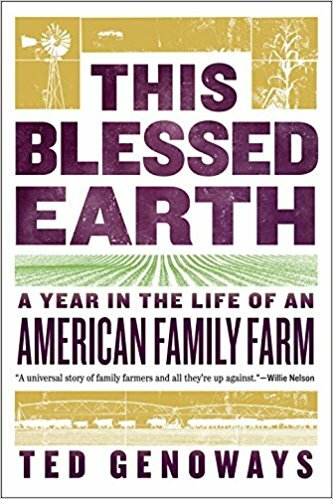 I found This Blessed Earth less politically illuminating than I’d hoped, but still a worthwhile read that left me with enormous respect for the hard working farmers responsible for putting food on our tables. Soybeans are such a finicky crop that farmers calculate the total hours – not days but hours – of sunlight they receive beginning the day they were planted. The window for good harvesting can be a single afternoon. Corn and soybeans are extremely compatible crops, and most farmers rotate the two, since soybeans replenish the soil with the nitrogen needed to grow corn, and the two crops share almost none of the same pests or diseases. Henry Ford sunk $1 million into soybean production and research in the 1930s because he was concerned about the declining petroleum supply. Ford envisioned a future in which many components of a car could be manufactured from by-products of agriculture (in addition to the fuel). In the 1910s, the DuPont Powder Company sought to expand its munitions market by encouraging farmers to use dynamite to clear fields. To DuPont’s delight, farmers reported that their crops doubled the year after blasting the field. Scientists soon determined it wasn’t the dynamite, but the nitrogen in the gunpowder that contributed to booming cornfields. Today, nitrogen is still the basic ingredient in modern fertilizers. Not surprisingly, the book’s most striking takeaway is that it is incredibly difficult to make a living as a family farmer. Farming is a complex business, and the success of family farms is heavily dependent on variables outside individuals’ control, ranging from weather to global markets. For instance, Rick Hammond, the patriarch at the center of This Blessed Earth, had begun raising corn seed for a major agribusiness, thinking it would provide a reliable income stream. But in 2014, the company slashed its order for corn seed, leaving the Hammonds reeling. With the seed order cut, Rick couldn’t afford to buy new equipment, yet he needed to continue to pay down debts. In short, “He needed a year in which everything went right — crops came in early and healthy, prices rebounded, equipment held out. And if he was forced to take out more loans, he needed interest rates to stay low.” That’s a lot of moving parts, with great potential for something to go wrong. Most frustrating for farmers is that modern agriculture suffers both from its failures – you can’t make money if there are no crops – but also from its successes. Greater productivity, creating a greater yield, would seem like good news, but the surplus pushes prices down as excess crops glut the market. Corn, for example, was at half the price per bushel in 2015 as in 2010. As the price drops, farmers respond by increasing production – if they can’t get more cash per pound, they simply try to grow more. In pursuit of greater productivity, farmers buy ever more sophisticated tools and technology, pushing them deeper into debt, compelling them to grow more crops for market, further pushing down prices, and exhausting their fertile acreage through overuse. With this vicious cycle, it’s hard to ever get ahead. In this way, farming is a bit like manufacturing – productivity doesn’t necessarily lead to greater profits, and it certainly doesn’t create more jobs. I wish Genoways had spent more time talking through the impact of federal policies with the Hammonds. I picked up This Blessed Earth in part to understand the 2016 election. Yet critical platform issues like global trade received scarcely a glancing treatment. I would love to know what the Hammonds and their neighbors thought of Donald Trump and Hillary Clinton, and how they voted, but the book, which was published in September of 2017, essentially ends in 2014. 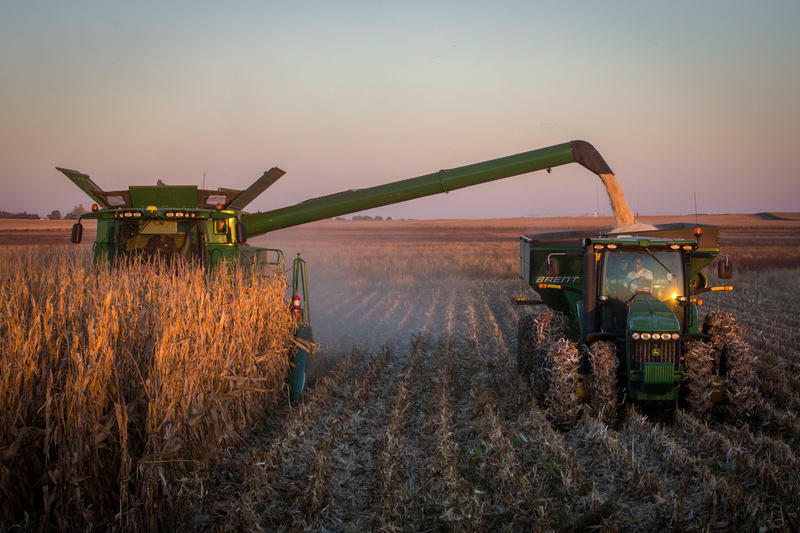 Genoways does note in the epilogue that on trade related issues at least, Nebraska – and other farm states in the heartland – seem to have voted against their own interests in 2016, although he offers no theory to explain why. Nebraska voted for Trump by a margin of 25%, yet the new administration’s protectionist trade agenda creates real risks for American farms. The Trans-Pacific Partnership (TPP) rejected by the Trump administration would have opened up new markets for beef, pork and grains. Likewise, farmers have benefited for decades from the open markets with Mexico and Canada, global marketplaces now threatened by the president’s plan to cancel NAFTA. Global warming, too, threatens farms. Genoways cites studies that estimate that Nebraska’s average temperatures could rise by as much as 9 degrees by 2060, putting enormous strain on water resources and creating another dust bowl. Already, farmers in Texas, Oklahoma, and Kansas report wells going dry. Domestically, the one issue explored in some depth in This Blessed Earth involves the Keystone XL pipeline, the second of two pipelines intended to carry oil from Canada down to the Gulf of Mexico. Rick Hammond’s daughter Meghan led a local protest against the pipeline, forecast to pass right through the Hammonds’ fields. In addition to losing productive acreage from her own family’s land, she worried that the pipeline would disturb the underground aquifer hundreds of farmers relied on for irrigation. Under the Obama administration, to Meghan’s relief, construction on the Keystone XL was halted; President Trump has announced plans to resume construction. And the pipelines are suddenly back in the news – on Monday, the Nebraska legislature voted to approve construction of the Keystone XL (albeit on a different route), just days after its sister pipeline the Keystone leaked 210,000 gallons of oil in South Dakota. The relationship between midwestern farmers and the government is complicated. On one hand, farmers tend to be skeptical of government – particularly the federal government – and to resent government interference. One can hardly blame them, particularly since agricultural exports are sometimes used as negotiating tools in foreign policy. President Carter’s grain embargo with the Soviet Union in response to the invasion of Afghanistan was a disaster for American farmers, closing off a major market, thereby creating a massive surplus resulting in plunging prices and sparking the farming crisis of the 1980s. More recently, China has threatened to halt imports of American grains in response to protectionist rhetoric aimed at Chinese manufacturing. Yet one cannot understand the history of the American Midwest without acknowledging the supportive role of the federal government, reaching back to the 19th century with the 1862 Homestead Act (offering settlers 40 acres and a mule to clear and settle land), land grants, the funding of state universities responsible for developing modern farming techniques and technologies, the USDA, and buy back programs to purchase surplus crops and stabilize markets. 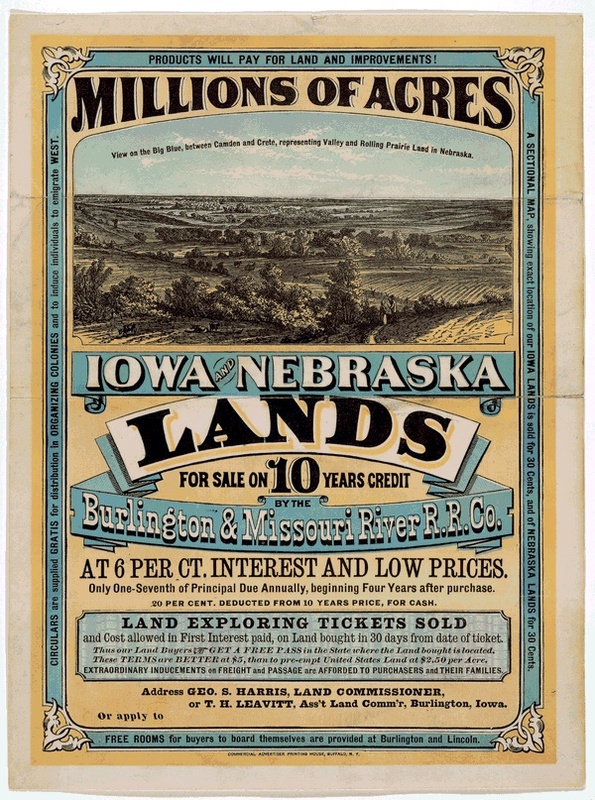 Genoways barely touches on the rise of late nineteenth century populism, which had deep roots in Nebraska. The movement grew in response to the bank panic of 1893 and global economic downturn which, combined with a massive drought, plunged farmers into a devastating depression. The Populist movement had enormous appeal for farmers, with its focus on bank reform and farming collectives to create self-governing marketplaces under the banner “Raise Less Corn, More Hell.” Genoways doesn’t do so, but it’s easy for the reader to connect the dots to current populist appeals on both left and right with attacks on big business, East Coast elites and Wall Street, and calls to drain the swamp. I enjoyed This Blessed Earth, and learned a great deal. Aside from my desire to have more connections to the political landscape, my chief criticism is that I wish we saw more of the interior lives of the Hammonds, with more raw emotion and daily routines. While they appear throughout the book, it somehow still feels sterile and a little dry. 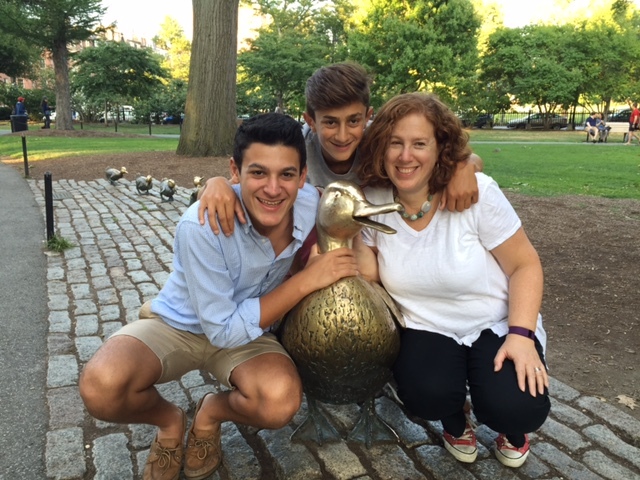 In part, perhaps, it’s the Hammonds’ own midwestern stoicism – while Genoways quotes Meghan and Rick describing how difficult farm life is, we don’t feel it through their experience. The book also would have benefitted from including more of the sprawling family – Genoways really only features the patriarch Rick, his daughter Meghan, and her fiance Kyle. Rick’s wife is noticeably absent, as is Meghan’s twin, who chose to have a life off the farm. This Blessed Earth would have been a richer experience with more flesh on the bone, a chance to humanize the experience of 21st century farm life. Sara, this review is so thoughtful and erudite; you have done your homework. I now have two books to get for someone’s holiday gift–someone who’s already read Hillbilly Elegy and who has a deep interest in listening like you do, especially to the lessons of history and economics. Thanks for this.